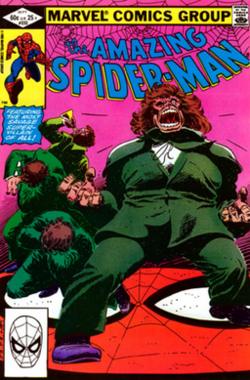 Mister Hyde is a reoccurring villain in the Marvel Universe. Hyde is a doctor who is obsessed with the old Robert Louis Stevenson character from the Strange case of Dr Jekyll and Mr Hyde. He believed he could create a formula to accomplish the same thing and set about on a life long journey to make it a reality. Along the way he does many terrible things. In recent years he has become more popular due to the fact that he is the biological father of Daisy Johnson a major character in the show Agents of SHIELD. He is a villain primairly of Thor, Spider-Man and of Daisy Johnson. Dr. Calvin Zabo is a brilliant scientist from Trenton New Jersey. He is obsessed with the character Mister Hyde from the classic story the "Strange Case of Dr. Jekyll and Mr. Hyde" where a doctor transforms himself into a massive powerful brute. Dr. Zabo believes that he can create a similar effect in himself. Zabo is morally indifferent and only cares about reaching his scientific goals. He begins to gather resources for his Mister Hyde research by stealing from his employers. He is very clever in how he steals and is not caught outright. However a cloud of suspicion begins to grow around him as people see a trend of robberies around those he worked for. Eventually, Zabo comes to ask for work from Dr. Donald Blake the alter ego of Thor. Blake refuses to hire Zabo due to the history of robberies. This enrages Zabo and he holds onto a grudge against Blake. When Zabo does perfect his Hyde formula he turns into an extremely powerful brute and immediately attacks Dr Blake. He flings Blake from a window and is certain that Blake died in the fall. However, Blake simply turned into Thor and flew to safety. Zabo believes that Thor saved Blake and then decides to frame Thor. He dresses like Thor and robs a bank hoping to frame the hero. Zabo then kidnaps Blake and ties him to a bomb demanding Thor to come battle him. Blake transforms to Thor and defeats Zabo who calls himself Mister Hyde in his brute form. This is the first of many times Mister Hyde will be defeated. Thor is forced to allow Hyde escape in order to preserve his secret identity. He must pretend to rush off to save Blake instead of apprehending Zabo..
Zabo/Hyde goes on to become a professional criminal and joins with another super villain called the Cobra. He goes on to battle Thor, Captain America, Daredevil and Spider-Man. On each occasion he and Cobra are defeated. Cobra eventually decides to go out on his own, after getting tired of being beaten so much. The betrayal of Cobra greatly angered Hyde. Once again he declares a vendetta against him in much the same way he did against Blake/Thor. He teams up with the villain Batroc in various attempts to kill Cobra but is successfully thwarted by various super heroes. He has made numerous other appearances often experimenting on others or selling his formula and as a super hero drug. He is one of the villains who tries to escape the super hero prison the Raft but is quickly knocked out by Luke Cage. Zabo has a daughter with a prostitute he regularly saw and the child grows up to become SHIELD agent Daisy Johnson. He could only be called a biological dad to the girl and takes no part in raising her. The girl is named Daisy Johnson and she gains irregular amounts of strength stemming from her father's altered DNA. Daisy goes on to become a high ranking SHIELD member and a close confidant of Nick Fury as well as a member of the Secret Warriors. As Calvin Zabo he is a genuis intellect with a high level of training in biology. Is Calvin Zabo the father of Skye on Agents of SHIELD? 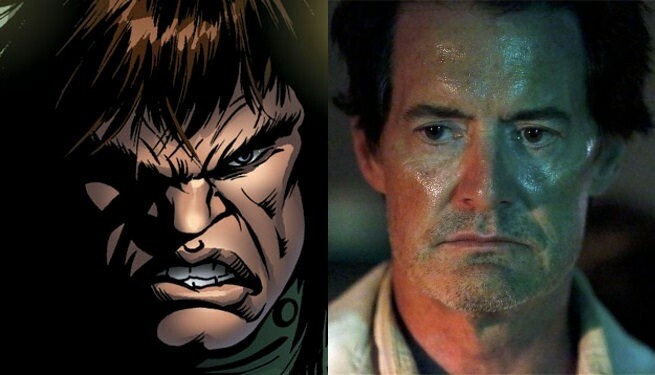 The character of Cal who is Skye's father in the show Agents of SHIELD is the MCU version of Calvin Zabo. Skye is the MCU version of Daisy Johnson. I dismissed this theory at first because the show seemed to be marching down an Inhumans path. While the show is still going toward the Inhumans her father has shown some signs of being something else. While Skye's mother is shown as being able to hold the "Diviner Obelisk" her father has never been shown holding it. While he is an expert on the Diviner and the Inhumans this is only from what he learned from Skye's mother. If Cal was an Inhuman then Hydra would have had no need to kidnap Raina to hold the Diviner in the Temple they are searching for. He is not exactly a normal human as he has shown some degree of super strength. He is able to kill people rather easily with what appears to be super strength. He is also a doctor, and is also called a Monster. Interestingly, Mister Hyde is a doctor, a monster and a father of a well known SHIELD agent. 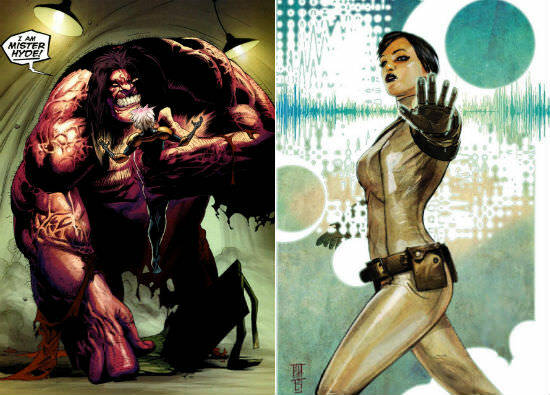 If he is Mister Hyde then it is possible that he derived a strength formula from studying Inhumans and in a similar way that Daniel Whitehall (Kraken) made himself young/immortal from dissecting Skye's mother.